Graceful Rage is a new band from Luxemburg, although the different musicians are no newcomers. Three of them used to be with Solipsism, a crossover band very close to Rage Against The Machine. When Solipsism's vocalist left, they made a new start with the guitarist's sister on the vocals under the name Graceful Rage, and decided to make their music sound more rock orientated. The opener Road To Perdition is quite dirty rock music not unlike Luxemburg's Soul Season. The singer is a real gain for the band as her voice is nearly as good as The Gathering's Anneke van Gersbergen. She has a very firm voice which can also be used for higher notes and is always strong enough to oppose the dominant guitars and drums. The second song Little Sin uses more or less the same pattern than the first one. Even if I was afraid that the promo-CD might become monotonous, Graceful Rage change their style on the following Nightmare which proves that they are just as comfortable with mid-tempo rock, although I am not fond of the very retro sounding guitar solo on this track. The next song Passion reflects the band's crossover roots and due to the female vocals, it is a mixture of Senser and again The Gathering. The last song Déboussolée is sung in French and comes closer to the songs at beginning of the album. 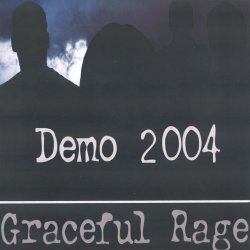 This is a very promising demo for a band that only started a few months before the release. Once they will record in a real studio (and not in a rehearsal room), Graceful Rage will become serious competition for Fluyd, Luxemburg's number one crossover band.